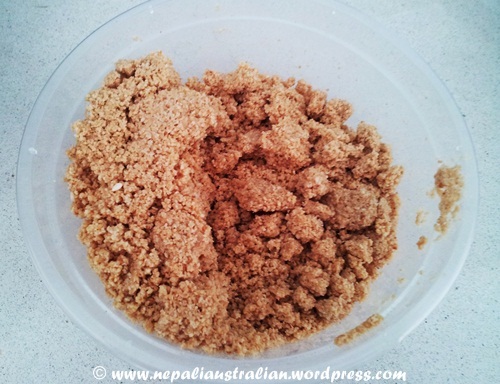 One of the things widely eaten in Nepal after the festival of Tihar is, Bhogate Sandheko. Bhogate is called Pomelo (Chinese grapefruit) in English and is used in Nepal during Mha Puja and Bhai Tika. Bhogate Sandheko roughly translates to marinated pomelo in English. Pomelo is a crisp citrus fruit native to South and Southeast Asia. It is usually pale green to yellow when ripe, with sweet white (or, more rarely, pink or red) flesh and very thick albedo (rind pith). Pomelo tastes a bit like grapefruit but is sweeter, less tart, and is not bitter. 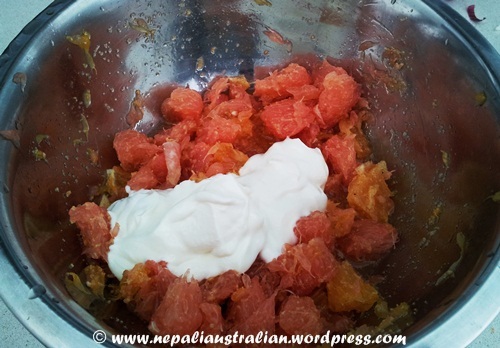 In Australia, we can’t find pomelo so the closest thing to Bhogate is grapefruit which is what I used in Bhai Tika during Tihar. So like my mum used to, I tried to make Bhogate Sadekoo and am sharing my recipe here. 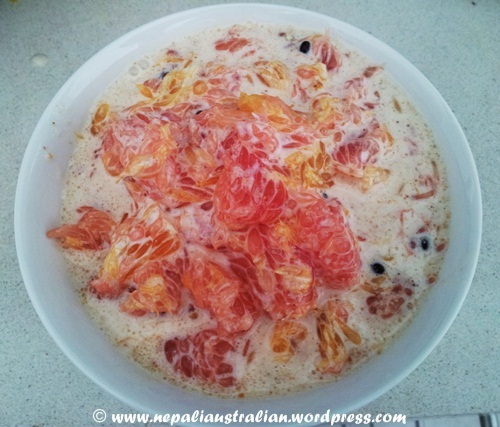 Peal grapefruit/pomelo and oranges and put it in a bowl . 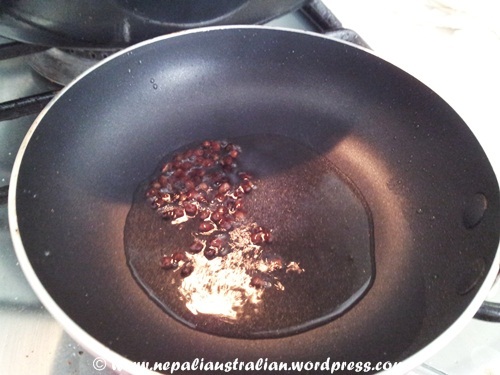 Roast sesame seeds in a pan stirring constantly making sure it turns golden brown, not black. Cool it and grind it. 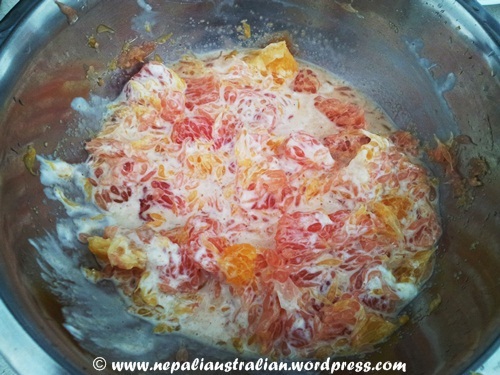 This entry was posted in Nepal, Nepali food, Recipe and tagged Chinese grapefrui, food, grapefruit, Pomelo, vegetarian. Bookmark the permalink. So Nepali and so ‘Afno’ !! 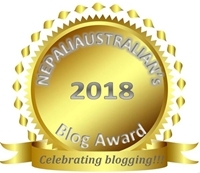 Simple yet satisfying post for all the nepalse in foreign places. Well, my mouth is filled with juices produced by your words and images. Yes, nothing can beat a sunny afternoon with ‘BHOGATE SADHAKO’. Thanks :), it was just yummy!!! You’re making me miss home even more!! :(, bhogate sadheko in the warm sun in kausi….and ofcourse doing nothing after that, just taking a nap :D, those were the days!! 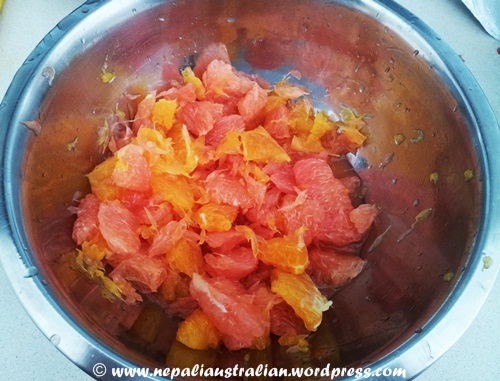 Yes can find plenty in Thailand but Bhogate is supposed to be sour n sweet but here its too sweet like a grapefruit or even as sweet as an orange in Nepal. nowadays its raining a bit, so its a bit cooler, which is good if you want to shop and may be in a few days it will be sunny again, r u visiting Bkk soon?